Mariel Loveland & co are back with new music—and a new moniker. 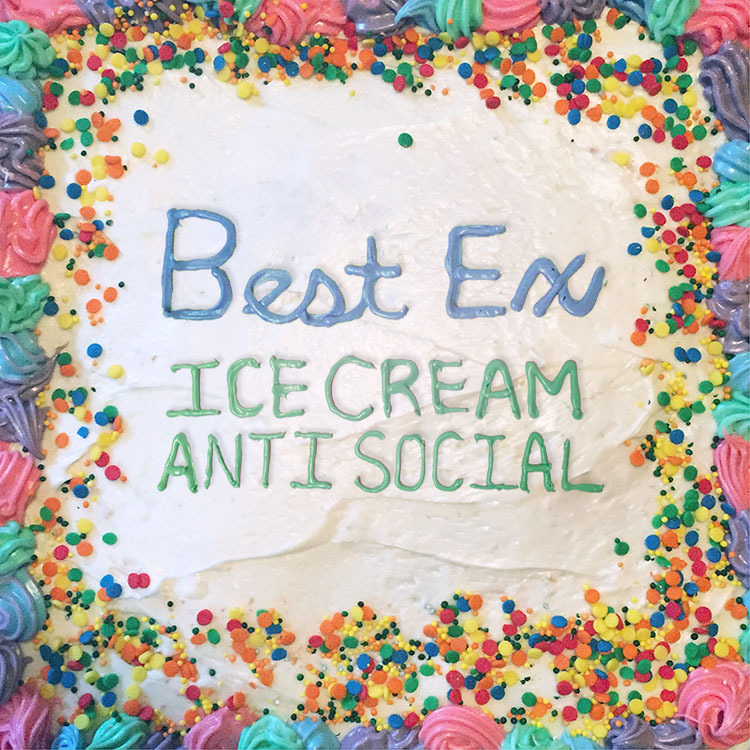 Candy Hearts is now Best Ex, and you can look forward to a debut EP this summer, titled Ice Cream Anti Social, and a co-headlining tour starting next month with Promise of Redemption, Baggage, June Divided, and Kozi, with more to be announced. To give you a taste of what to expect, Best Ex premiered a new song called “Girlfriend” over at Billboard, which is all about wanting to kiss a high school crush. With a sugary-sweet synthpop tune like this, who could possibly resist singing along? In a post about the change, Loveland says that she found it hard to identify with the name “Candy Hearts” any more, and that the new reincarnation is about leaving behind her anxiety and starting a new chapter: “To me, Best Ex is like a breakup haircut, only I broke up with this part of myself that I no longer want or need. I broke up with a feeling that had no right to be around in the first place.” If “Girlfriend” is anything to go by, color us excited for this new direction—check out the new track below, and keep scrolling to see the tour dates and read the full message about Best Ex from Mariel! June 25: Metro Gallery, Baltimore, Md. July 2: Siberia, New Orleans, La. July 3: Dirty 30, Dallas, Tex. July 4: Dirty Dog Bar, Austin, Tex. July 6: Rebel Lounge, Phoenix, Ari. July 7: Beauty Bar, Las Vegas, Nev.
July 8: The Holding Company, San Diego, Cali. July 9: Viper Room, Los Angeles, Cali. July 10: Bottom of the Hill, San Francisco, Cali. July 14: Vega, Lincol, Neb. 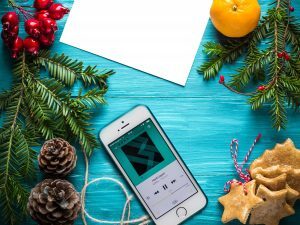 “I’m so thrilled to be able to finally show you some of the music I’ve been working on for the last two years! It’s been an extremely long, emotional process, and honestly there were times I thought this day might never come. I hope you like what we’ve got in store as Best Ex, and I want you to know that every listen, like, tweet and comment means the absolute world to me. This next chapter is going to be amazing! For everyone wondering about what’s going on, let me explain. I created the idea of Candy Hearts when I was a teenager, and I never ever thought anyone would even hear it, let alone that we would achieve even half of the things that we have as a band. I remember the distinct moment that I rode the train into work to quit my day job (and got fired instead) and vowed to always follow my dreams and never waste my life on a job I hated. Luckily, since then, I never had to. From that moment on it was a whirlwind of shows, van drives, best friends, crying so hard you can’t breathe, and laughing so hard you actually almost pee yourself – everything from the first time I saw myself on TV to the time our van broke down and we had to push it in neutral down a highway. I never want to let go of that, but the truth is that I just don’t identify with being called “Candy Hearts” anymore. I don’t know if anyone could say it better than Britney Spears when she sang “I’m not a girl, not yet a woman,” but that’s the very fiber behind why our name felt so out of touch to me. Of course the name makes sense on the surface — let’s be honest, I have a high, small voice and sing about sugary sweet crushes and friendship — but that’s the issue. I often feel like that tiny voice is drowned out shouting into a room full of dudes who’d rather punch each other than listen to a tiny girl in a dress sing about how her boyfriend ignored her. “Candy Hearts” does not feel powerful anymore, but sometimes, I really do. The truth is that anxiety is a terrible beast that has been the uncredited, founding member of our band. Throughout our last album cycle, our first international tour, Warped Tour – everything so amazing – she was there, not cheering us on. If she got royalties, I’d owe her everything I have. Because of the power I gave her, over the last 5 years, my gut – the loud, incredible voice who had guided me so well to the point my dreams actually came true — became so afraid and so quiet it was good for nothing. She is what I see when I see “Candy Hearts.” So how do I get rid of this feeling without abandoning the best years of my life, the amazing things we’ve done, and our catalog of songs that are so important to me? Break up with my anxiety, pack up my things and move into a new house. This house is Best Ex. To me, Best Ex is like a breakup haircut, only I broke up with this part of myself that I no longer want or need. I broke up with a feeling that had no right to be around in the first place. I chopped off the dead, over-bleached ends of my hair my mom is begging me to cut and gave myself a confidence-boosting makeover (with lots of glitter, of course!). I am so, so beyond excited to share this new chapter with all of you. I know it may seem quite strange, but we will still play all the songs you love as long as you keep singing with us. I’m a Cancer, through and through. As one of those soft, sentimental crabs, I’ve merely moved everything I am and everything Candy Hearts is into a sturdier shell.